Children naturally learn by movement. I am realizing this more and more as my daughter gets older (she is now 2 years old). But toddlers aren't the only ones who need movement in their lives. ALL children can benefit from movement or brain break activities. So today I am sharing 10 brain break activities for kids to help them stay alert, on task, and get the wiggles out during the day. These are great not only for homeschoolers but in the classroom as well. 1. Jumping Jacks – How many can you do in a minute? 2. Jumping on a mimi trampoline – How long can they last before getting too tired? 3. Crawling through tunnels or under objects (see my idea for a tunnel activity to encourage crawling). 5. Heavy work activities such as pushing, pulling, objects. (see my idea for a laundry basket push game). 6. Scooter board activities (see my fall scooter board activity, winter scooter board activity, or obstacle course relay). 7. Wall pushes – stand far enough away from the wall that you can touch the wall with your hands while your arms are straight. Then bend the elbow and lean in towards the wall. For more great brain break activities, check out my friend Heather Haupt's Ultimate Guide to Brain Breaks book. It comes in a paperback or ebook format and has 60+ brain break ideas that can be used as cards. Plus she explains the science behind brain breaks in an easy to read and understand language. I recommend her book all the time, especially for parents who have wiggly kids at home. This is a Google Hangout where Heather was a guest and she gave lots of great tips on brain breaks and other ideas for kids based on her book. Here are some other resources if you are looking for ways to teach your active and wiggly kids at home. You can also check out my Bilateral Coordination and Vestibular & Proprioception Pinterest boards for more movement ideas. Follow Heather G. | Golden Reflections Blog's board Bilateral Coordination Activities on Pinterest. 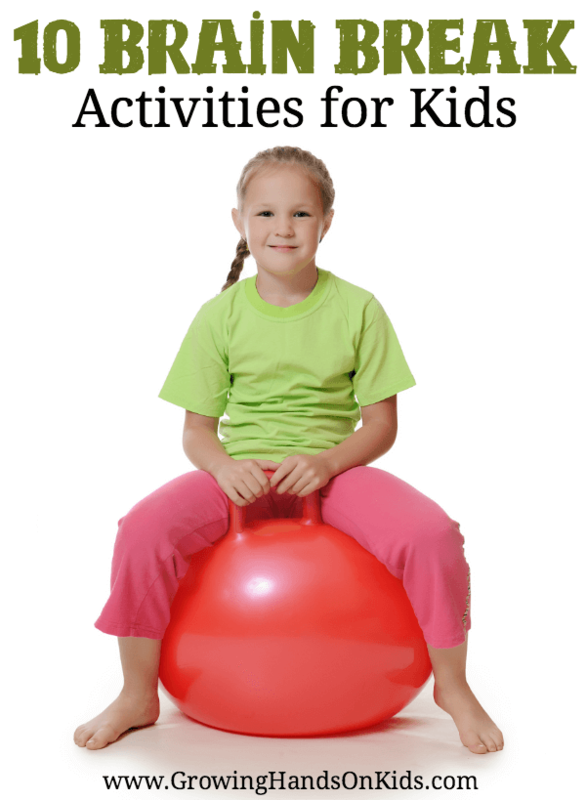 Follow Heather G. | Golden Reflections Blog's board Vestibular & Proprioceptive Activities on Pinterest.